You walk on it from the moment you step inside your house. You track mud, dirt and water over it. People, pets, suitcases, appliances and toys traverse the floors of your house. It takes a lot of abuse and it still holds together no matter how many scuffs and scratches it endures. 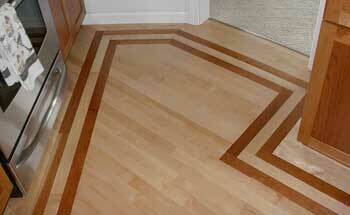 Flooring is not just a structural aspect to your house. It can be one of the most aesthetically please parts of your home while adding dimension, making each room truly unique. There are many different styles, patterns, textures, trends and materials of flooring. Our flooring specialists are available to hear your preferences and desires while advising you on the best flooring for your room. The look and feel of your flooring brings a personality to your room. Choose from styles such as distressed, hand-scraped, speciality or traditional woods, parquet, stones and naturals, decoratives and geometrics or conventional patterns. Just as a nice paint job or bright wall hangings can alter the mood of your room, let your flooring speak to your good taste as well.